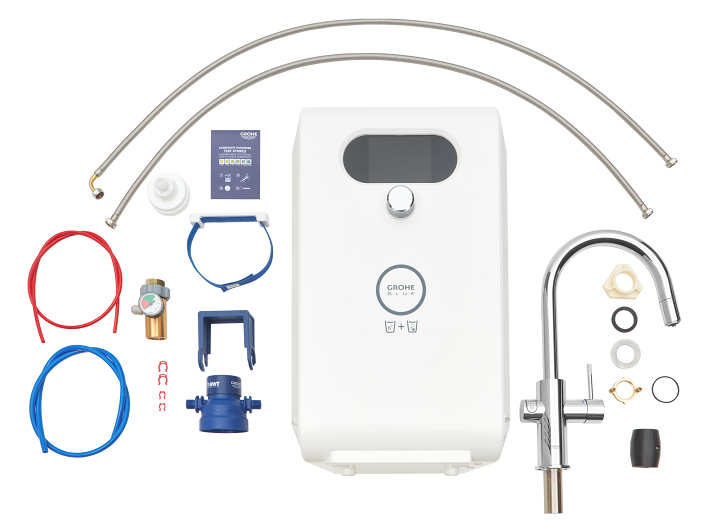 Say goodbye to bulky, wasteful bottled water and all the logistical problems it brings. 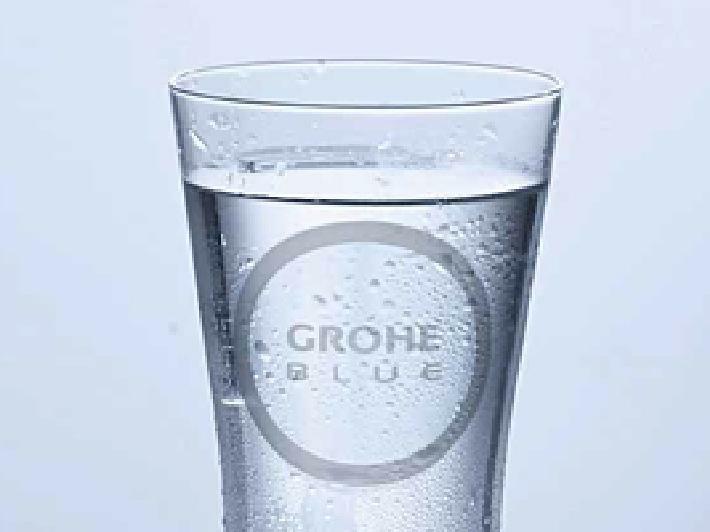 GROHE Blue Professional provides great-tasting filtered water fresh from your office kitchen tap. 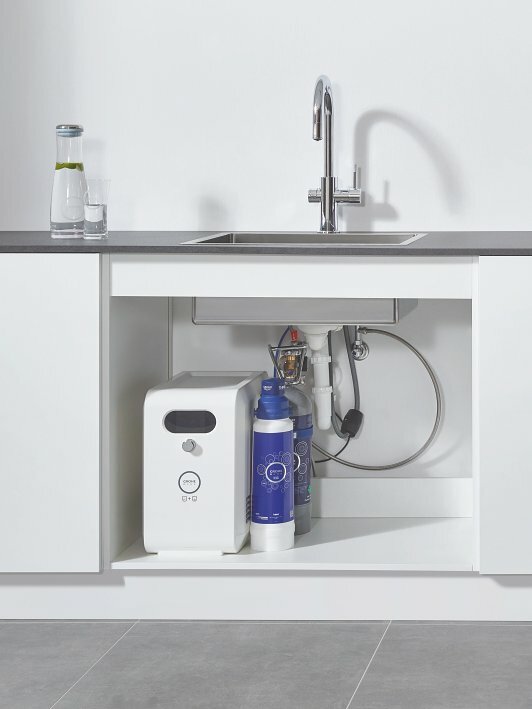 With a GROHE water system it couldn’t be easier to turn your workplace into a bottle-free zone. 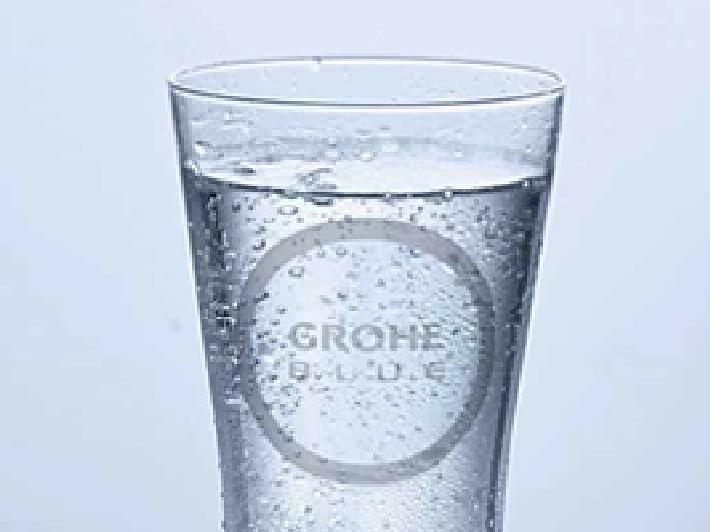 Great-tasting chilled still water, freshly filtered. Alive with bubbles for an instant thirst-quencher. 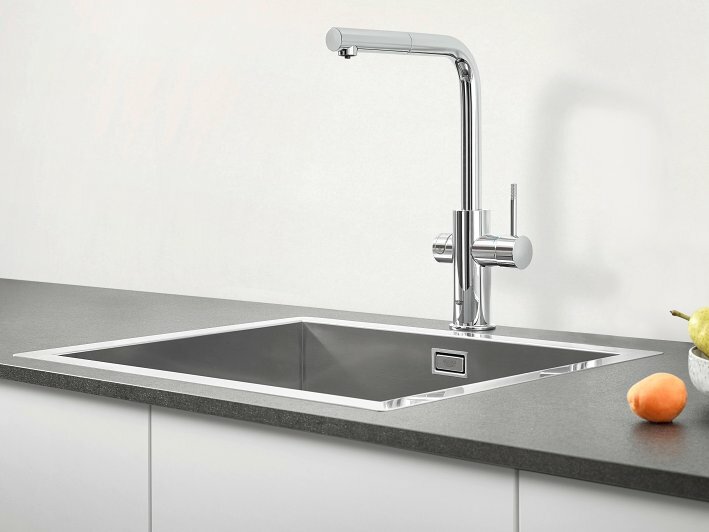 TAP with separated inner water ways for unfiltered tap and filtered drinking water, turnable by 150°. Available with pull-out mousseur. PUSH BUTTON with illuminated LED ring for still, medium and sparkling water. 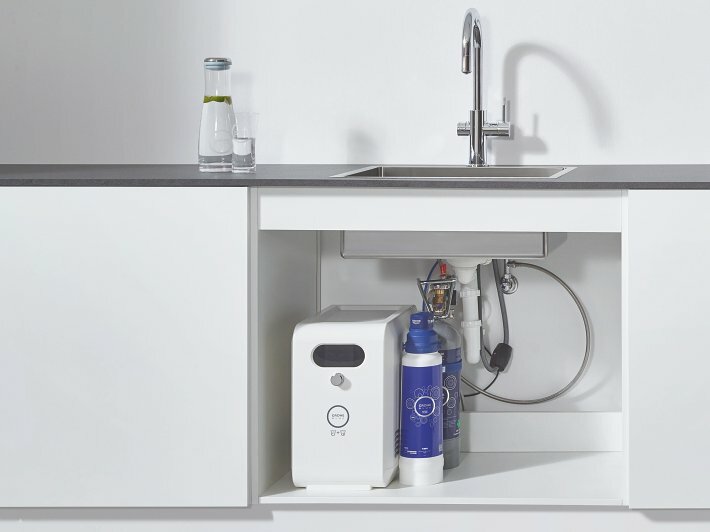 COOLER for chilled and sparkling water supply with integrated display and WLAN connectivity. 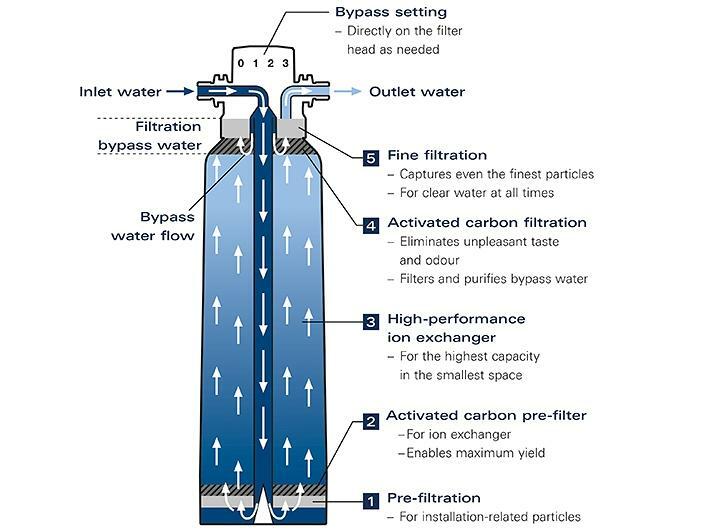 HIGH PERFORMANCE FILTER selectable in 4 different types and capacities. CO2 BOTTLE for up to 350 Liter sparkling water. Available in 425 gr (60l) or 2 kg (350l) size. Beautifully designed to deliver your ideal glass of water. Use the buttons on the handle: For cool, still water: just push the top button. The LED lights up blue. A gentle, medium sparkling? Press both buttons in sequence – the LED lights up turquoise. For water that bubbles with refreshment: just press the lower button – the LED lights up green. Great function and flexibility. 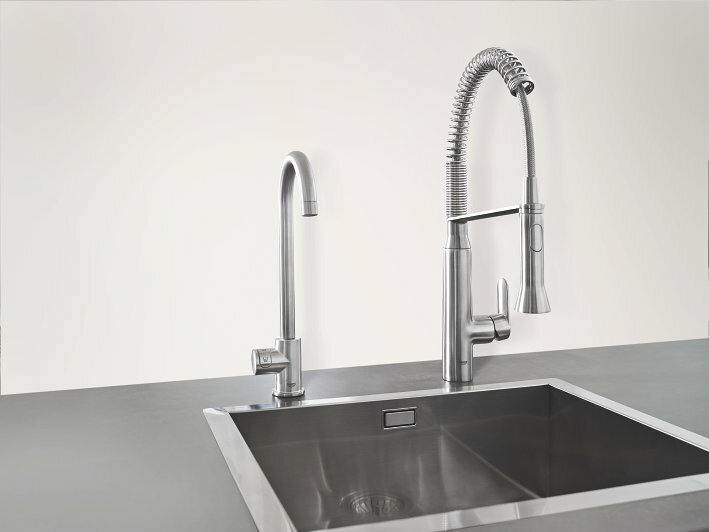 GROHE Blue Professional’s pull-out mouser head makes cleaning the sink and filling larger pitchers easier. 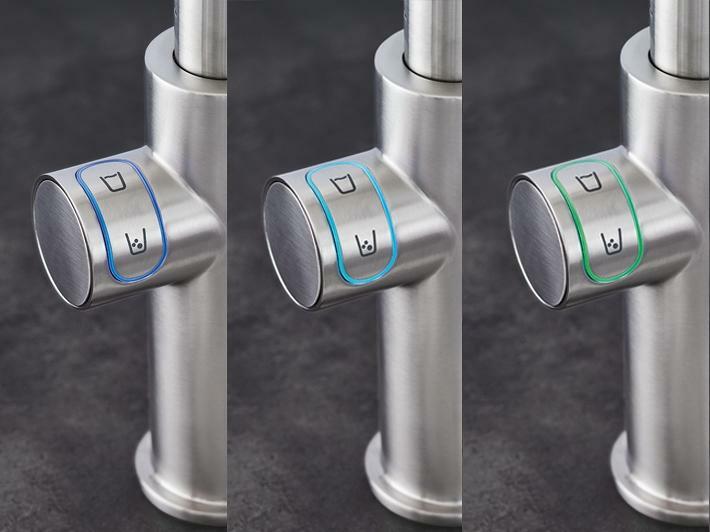 Available in all three contemporary tap shapes. Nothing can affect the great taste. 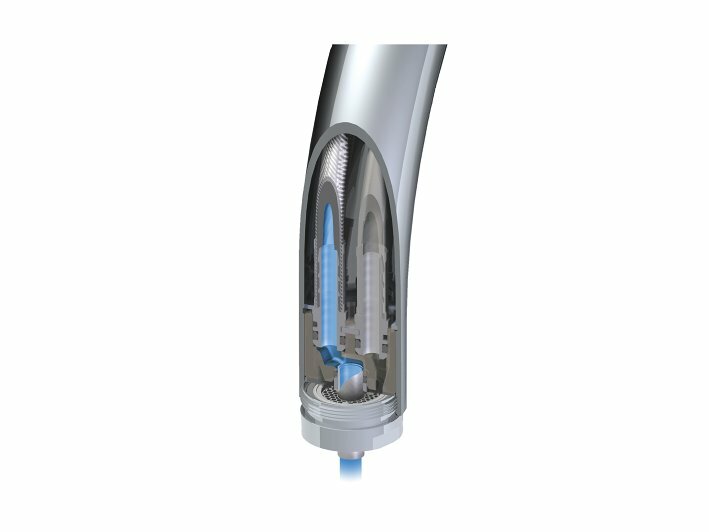 Thanks to separated inner waterways inside the tap, filtered water never comes into contact with anything that could affect its clean, pure taste. Enjoy the peace of mind that comes from trusted names. GROHE and BWT, Europe’s leading water professionals, represent safety, hygiene and the highest quality standards. 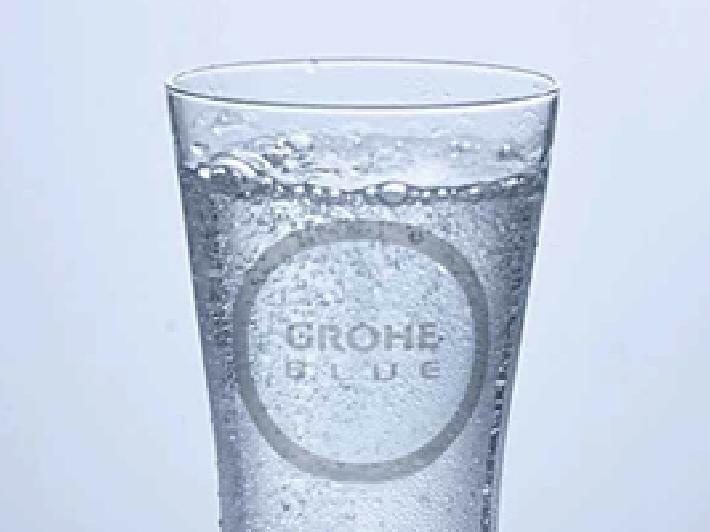 Together they transform tap water into pure refreshment, with BWT’s leading filtration technology and GROHE’s design and engineering excellence. Clear the clutter and enhance your workplace kitchen. 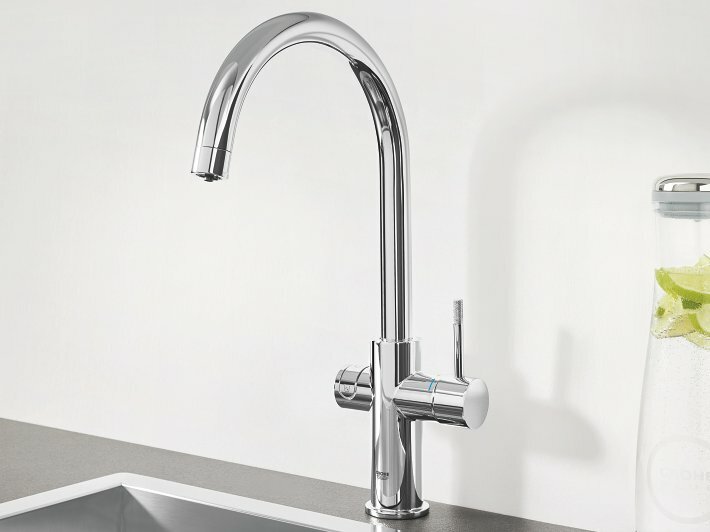 GROHE Blue Professional taps’ form is as attractive as their function. 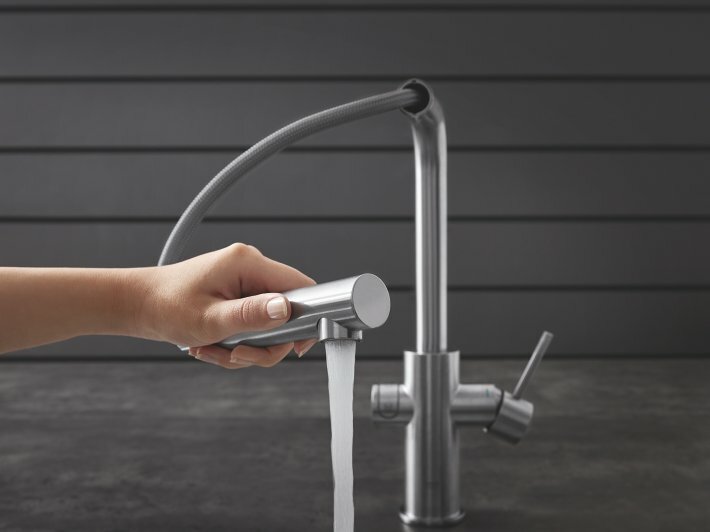 Choose from three sleek spout shapes and two durable finishes for a water system that perfectly fits your space.